I agree with this. Haven on Jewel class ships is not worth the extra money, a regular SF, SE or SC suite with a spa pass and you’re all set for a lot less. Platinum plus here and this makes me never want to book an overseas cruise with NCL. I also plan on getting insurance that covers all of this for future cruises. So sorry for everyone, this is being handled horribly by NCL IMO. Minimum 50% off fare and 2 nights hotel would be a start. 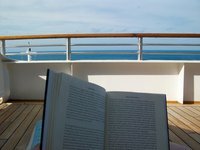 Loved my forward balcony a few years ago on The Dawn. Great glacier view from Jewel a few years back as well. I do wish they’d go back to giving all guests in Haven suites the beverage package instead of just the first 2, it would be a nice perk for booking the suites outright as opposed to getting in via bid. My upcoming cruise on the Gem in May has almost all the suites unbooked and I don’t blame people, I mean what’s the point unless you just absolutely can’t do without the Haven and /or suite? Do not let it ruin your birthday. If you were comfortable paying the price from the start then make peace with it if you can’t get an upgrade or more on board credit. This happens with most non peak season cruises, they have sales to move inventory left. I think most cruisers have been through this, myself included. Just have a good vacation. If they aren’t doing this to cut staff but the room attendants get to bed an hour or so earlier, I’m all for it. Their days are long enough as it is. The cigar lounge should be cigars only. It’s ruins the whole experience when cigarettes take over, such a shame. It comes in handy when there are babies in the pool AND hot tub making the Haven essentially unusable. This was me last May on the Jewel. Spa pass was a lifesaver in that instance. I’ll never book a haven suite on a Jewel class ship again after my Jewel Alaska 2018 experience. Pool and hot tub were unusable due to babies in both. The concierge did nothing about it and I could have spent $5k less to be in a non haven 2 bed suite and had the same experience, minus the aggravation. I was in this cabin for Alaska 2016 and would suggest ear plugs. I’ve been in cabins where a baby next door has cried all night or something creaked constantly. Vacations can be this way unfortunately, get the plugs and try to enjoy the remainder of your vacation. Will Norwegian up its Haven game? Until they stop allowing children in diapers in the Haven pool and hot tubs I will not be booking the Haven again. I’ve stayed in it 5 times and I do not understand why one stateroom with babies needs come before all the other staterooms. No matter who I reported it to it went on and on. I am platinum plus with NCL and sail with them every year but yeah, they aren’t the best with things like this. Maybe losing customers is a calculated risk they are willing to take, idk. Sorry to all affected.